The Ferrari of the Shimano round reels of its generation. Popular due to its speed ratio, added bearing placement over the 200B model, and slightly more shallow wiffled spool. 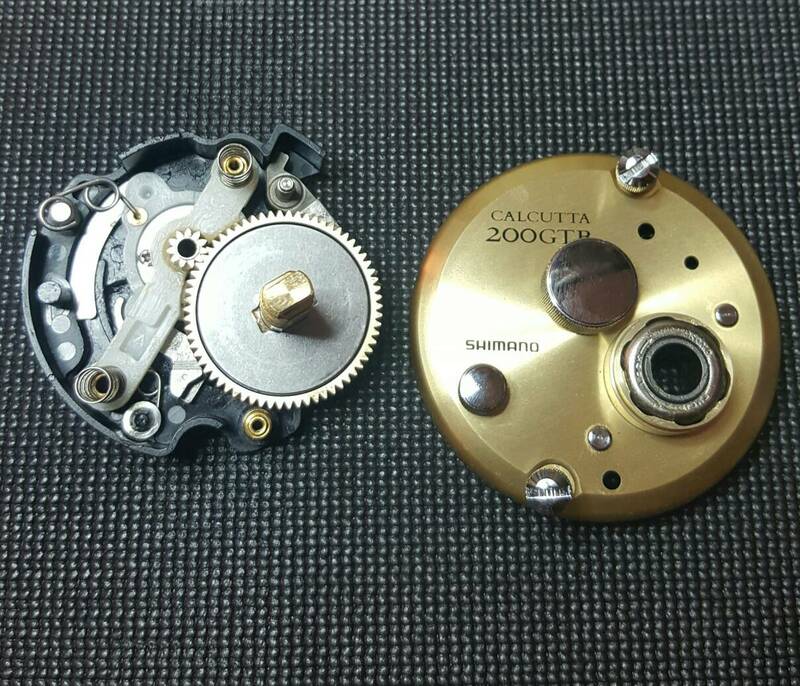 The 200GTB was a reel that could withstand the stress of just about anything. 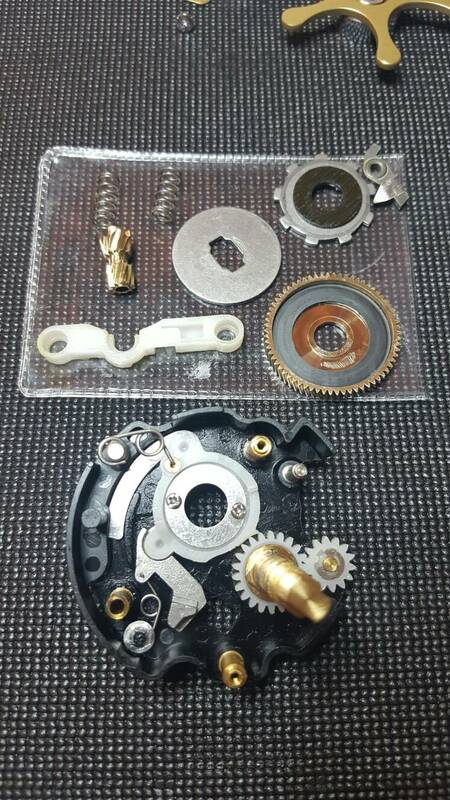 Full aluminum construction, rugged brass gearing, and decent drag system. Round reels are a dying breed as we get more and more spoiled by the ergonomics of the "low profile" baitcasters, that come with spools that hold plenty of line. 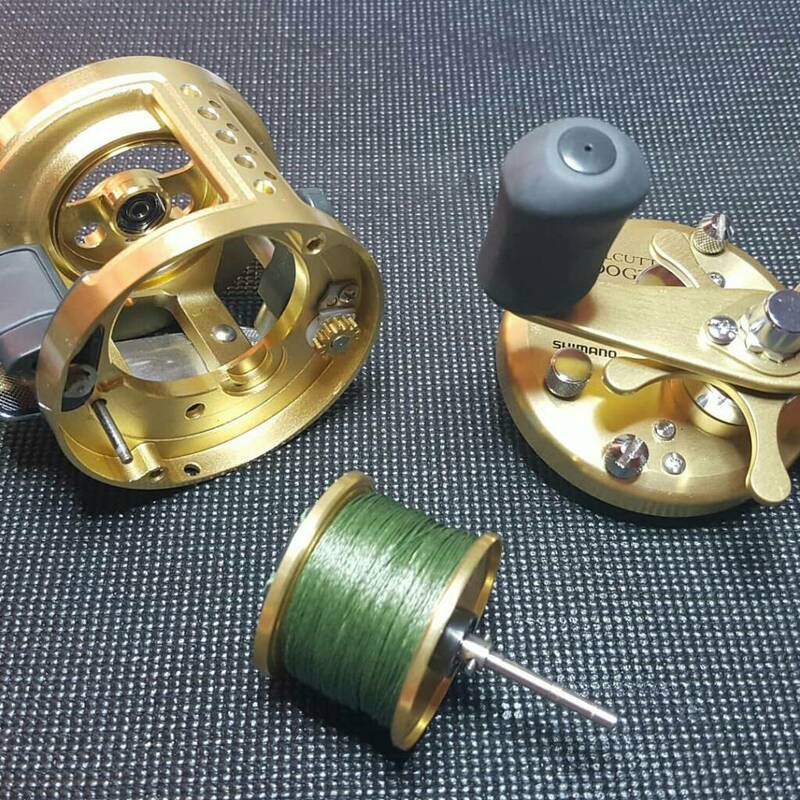 What some of these "low profile" reels cant replace though, is the solidity of the overall construction that goes into round reels. Even on down to the tiny Conquest 50 reels that were made for throwing lighter baits. 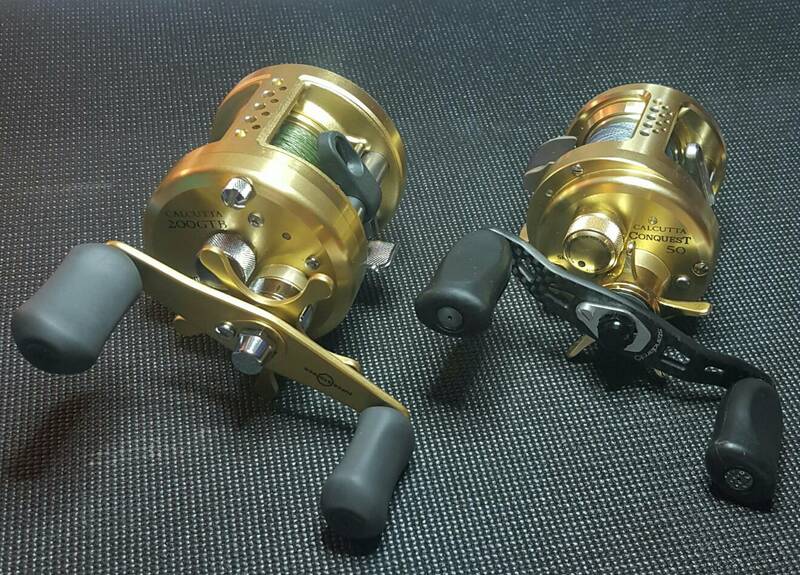 Some of you on this very forum still use Abu C series round reels that date back 20, 30, 40 years... Daiwa has the Millionaire and Ryoga reels. Even Yuki Ito took the Ryogas all out brute strength and style, and encompassed it into the LIN series that will bring in close to $1000.00 if you can find them new in box. So what does this all mean? It means that sometimes you just have to appreciate the overall style, functionality, and fun it can be to fish a round reel that feels like you got something in your hands. 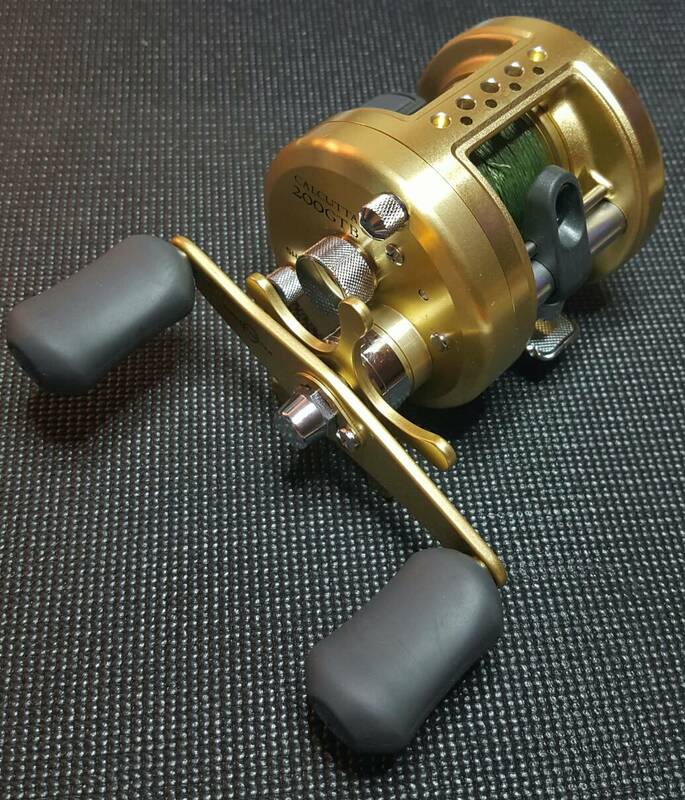 I managed to find this reel new in box from a seller that I was able to negotiate the price on. Its still practically new, as Ive spooled line on it and casted it a few times. I decided to break this one down tonight to freshen up the lubrication, and prep it to really be fished in my rotation. 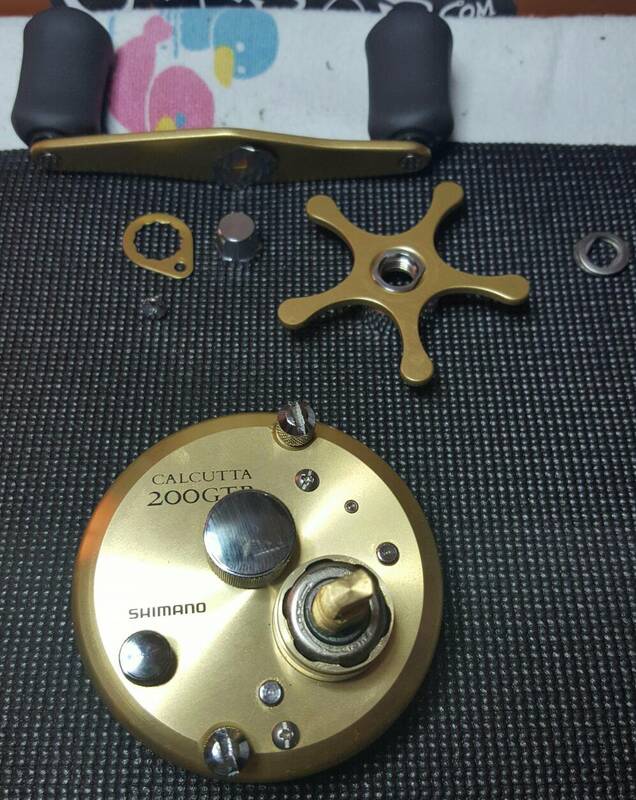 Heres a look into what makes this Shimano round reel work. I think if more people gave the new round reels a chance some might like them better. Especially if your hands are on the large size, you might end up liking them better than low profile reels. Be careful with the kick lever spring. It's a dead breed. But I 1000 percent agree with all you've stated about round reels and congrats on the find. Looks like it's in great shape. I love the round reels, but don't think I'd spit on a new Ambassadeur unless it's one of the few models still made in Sweden. Haven't fished one, but I noticed a difference in how they feel before I ever knew they'd moved a lot of production to asia. I know a "junktique" store that has several Calcuttas. I've steered clear of 'em because of the price they're asking on them, knowing they all have something wrong with them.